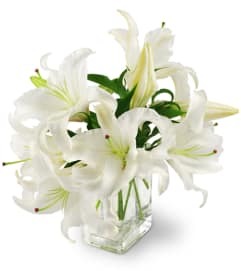 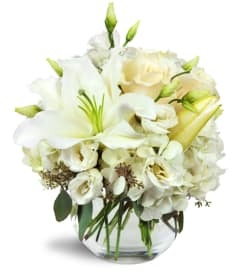 Frosty approved this stunning arrangement is bound to warm your heart. White carnations, peppermint carnations, mini peppermint carnations, green carnations and green button chrysanthemums are accented with pine cones and silver Christmas balls all nestled in a lush bed of Christmas greens. 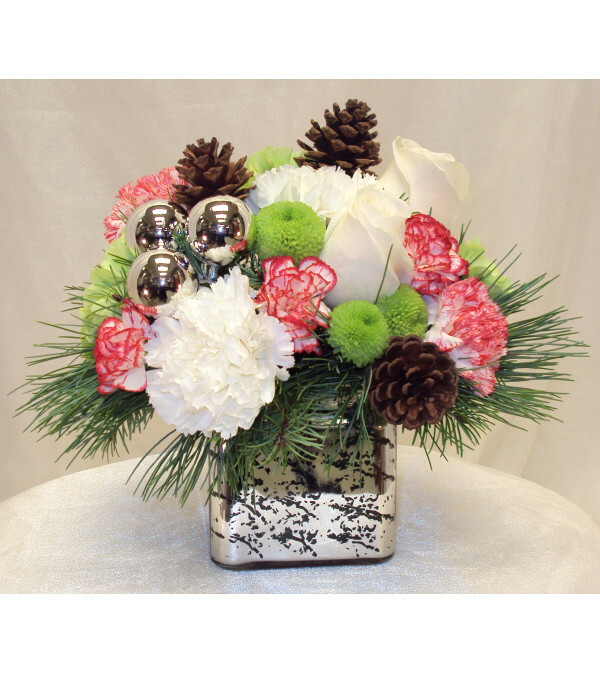 All beautifully arranged in a dazzling silver mercury cube that creates a stunning display. 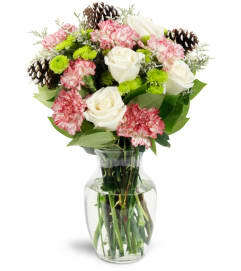 During this magical time of the year, let the joy of the season shine through with this beautiful holiday arrangement.